Oral hygiene is a growing concern for parents and children. Recent estimates believe that up to 75% of children in school have at least one cavity. While changes in sugar intake have a lot to do with this, so does a lack of brushing and oral hygiene. There are four tips that parents should follow that will help to ensure their kids stay motivated to brush and care for their teeth. The first tip that you should follow that should help to motivate your kids to brush their teeth is to explain the importance of brushing. You should carefully explain why brushing, flossing, and seeing a family dentist in Knoxville or wherever you may live on a regular basis is so important. This should include explaining that it will help to prevent cavities, give them a nice smile, and make them feel healthier and happier. You should also explain how not taking care of their teeth as a child could impact their oral health the rest of their lives. Once the child is more aware of the overall importance, they will likely be more focused on keeping up with their oral hygiene. The second tip that you can follow that will help your kids brush their teeth is to keep them distracted. While brushing teeth only takes a few minutes out of every day, it can seem like a long and boring period of time to a young child. During this time, it could be beneficial to find some way to entertain them and distract them from the process. Some great options for this would include reading them a story that they like, put on some fun and upbeat music, or even talk to them about their day. Any of these tasks will help to make the few minutes pass by and ensure their teeth get as clean as possible. Another way to ensure that your kids continue to brush their teeth is to make it as fun as possible. While brushing teeth is not always a fun experience, there are ways to make it more entertaining. One way would be to purchase a smart electric toothbrush. These toothbrushes can track the toothbrush use and then be linked to an app on your smartphone. The application also has a number of games built in, which can help to keep a child engaged and motivated to brush. Another option would be to build a rewards program for your child that will reward them if they continue to brush and floss on a regular basis. Finally, when you are trying to get your kids to brush their teeth, another tip would be to lead by example. While you may not have the same wakeup and bedtime routine as a child, it would be a good option to show your child that you brush your teeth regularly as well. To encourage kids to brush their teeth, you should try to brush your teeth at the same time that they do. Not only will they see that brushing is important for adults, but they will also be able to mimic the frequency of brushing, amount of time you spend brushing, and even the form and speed that you use when brushing your teeth. In conclusion, oral hygiene today is a big concern for many kids. It has been estimated that up to 75% of children will get a cavity at some point. 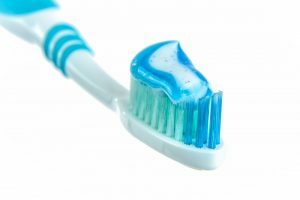 While this could be due to increased sugar intake, it also is likely due to the unwillingness of children to brush their teeth on a regular basis. Fortunately, there are several tips that can be followed that will help to encourage your kids to brush on a regular basis.